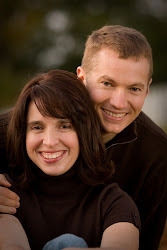 Scravings: My Favorite Recurring Dream....Came True! No, it's not the dream where I forget some or all of my clothing and then head to church and hope no one notices. Although that is a recurring dream, it's not a good one! My very favorite recurring dream, one I'll have at least every year or so, is that I discover a new room in my house, one I never knew existed. I'm well into furniture arranging when I wake up, feeling a bit jilted. Well, now I feel like I do have a new room. 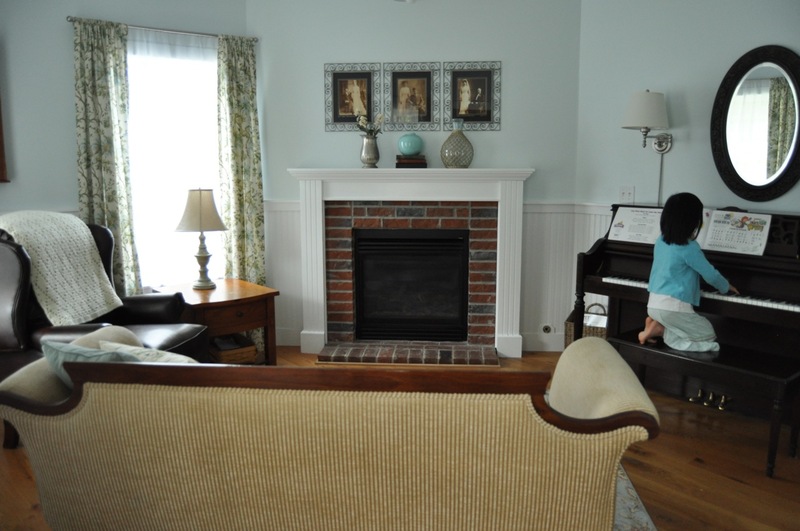 Except for the practicing pianist and the baby chicks, our music room has never been used. I started by painting the fireplace and then debated painting the bricks (and thought better of it), and then painted the room (twice), settling on a blue-green Benjamin Moore color called "Whispering Spring." We added a recliner and couch, and because I could think of no other option, I put the couch against the window wall, facing the piano. The recliner was then against the wall on the left and you couldn't actually recline unless you moved the seat forward. So, I moved the couch away from the wall and angled it toward the already-angled fireplace wall and put the recliner in the corner, where it could actually recline, and suddenly the room seemed so much cozier for talking, or sitting by the fire, or listening to the piano. The room is quite small and I felt sure moving the couch away from the wall would make it seem even smaller, but surprisingly, it works. 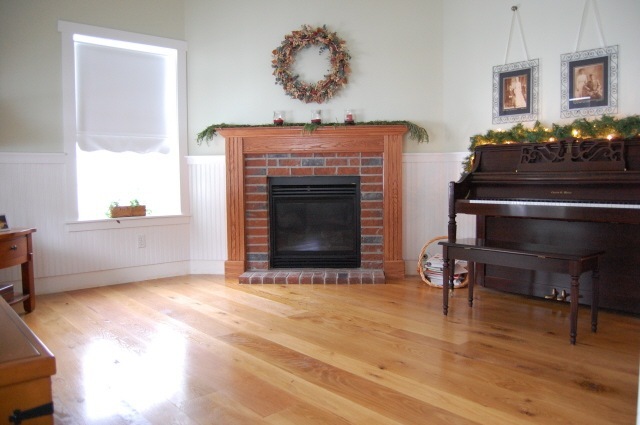 An added benefit is that it makes the fireplace more of a focal point. The piano couldn't go anywhere else and I always felt like it was a battle between the piano and the fireplace. Which is the focal point? Are they both? Can you have two? Anyway, with the new furniture arrangement, I think fireplace has won out. Lighting at the piano was also an issue and since Lyle didn't want to cut into the ceiling or the walls, these plug-in wall sconces from Lowes worked well. 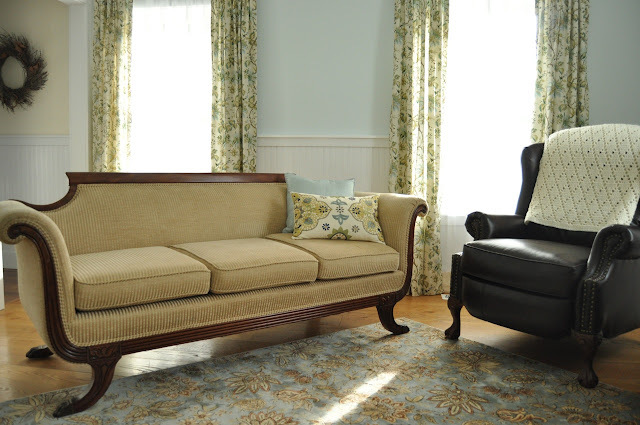 They look very much like the Pottery Barn version, but much cheaper. I was thrilled to find them. Admittedly, they're a little skeepwampus, but I've decided to overlook it. We changed out the can light above the fireplace with this cute pendant. We got it for a steal since there's a defect in the glass on one side, but we knew it would be going against the wall, so no one would ever be the wiser. 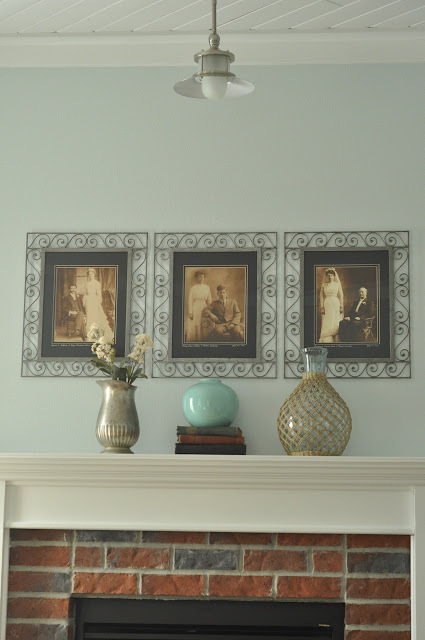 We moved the ancestor wedding pictures from over the piano to over the fireplace. I love how the sepia tones work with the colors of the brick. So, so glad I didn't paint the brick. I'm still not sure about the arrangement on the mantle. It's not my strong suit. Suggestions? Lyle's still talking about doing a little woodwork on the fireplace wall, so I'm excited to see what he comes up with. It's funny, but probably one of my biggest splurges was this throw pillow. I love how it tied in the colors of the couch with the walls. I took the pillow with me when I looked at drapery fabrics. Honestly, when I finished and hung the last of the drapes yesterday, I thought it was overkill. It just looked like too much and I told Lyle I wasn't sure I liked them. He looked very tired. He patiently but firmly told me that I really do love them. And lo and behold, today I do! 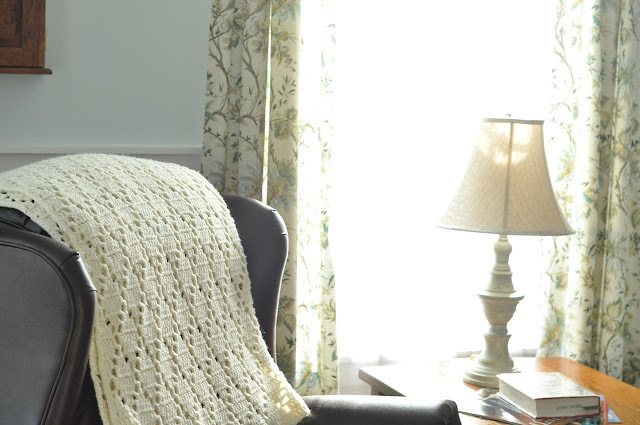 I also love the crocheted throw over the recliner. I found it at an antique shop for only $15 and it looks brand new. It would have taken me years to finish such a project, and the resulting blanket would have been in the shape of a very long triangle. There are still a few things to do....some pictures to hang, some accessorizing to do, but my favorite dream has happened. I have a whole new room! ..........or if I don't, at least hope no one notices. Love it! 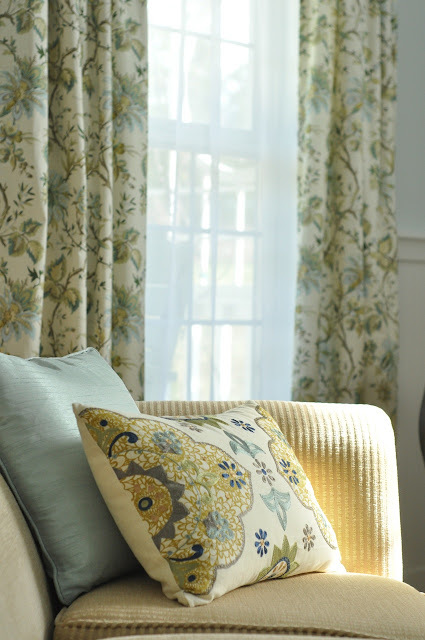 Love the new curtains, too, and the pillow, and the pictures above the fireplace, etc., etc.! Love love the room, love love the drapes...nice job! Pictures look great above fireplace....try off-centering (does that make sense) your mantle arrangement...you might like it better! I think it looks great! I especially like how the rug and curtains complement each other. It's beautiful! So peaceful and relaxing and calm. I love the drapes! Funny, I dreamed about your room last night. I think it has probably turned out better your way than mine, though. Good job! This looks really beautiful, Eileen! Perfect solution for the angled fireplace. I have had that same recurring dream since I was a child - hmmmmm. Oh I love it!!! It makes me want to discover a new room in my house! It looks so cozy and inviting. 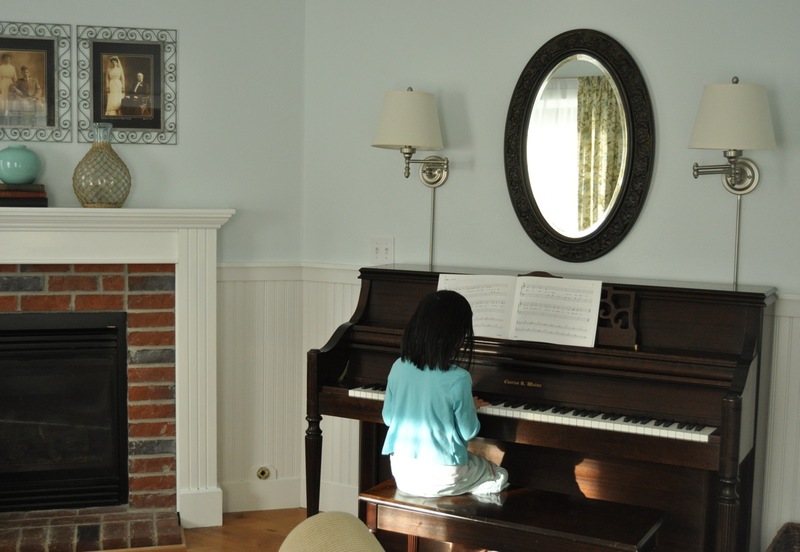 I would love to have a room like that and be able to sit on the couch while I listen to my kids practicing piano. I agree that it's good that you didn't paint the brick. Job well done!!! It looks wonderful! I love that wall color! Your room looks beautiful - great job! I agree with Val about the mantel arrangement.